This app leads you through programmed exercises or gives you the ability to create custom exercises from a large library of interesting and innovative exercises. You can mix exercise patterns, sets, reps, etc. so you can challenge yourself no matter where you are. Get it, use it, you'll be happy you did. Well worth the cost given what is offered by Mark Lauren and his team. Great workouts for all levels of fitness. Get on board the Bodyweight train peoples - you won’t be sorry. Love this program. Mark is just great. Uses few words and not trying to manipulate you to buy other products. Everything about this is modest and effective. Workouts perfect length for my schedule with busy job and little kids. I have purchased nearly all of the premium videos. Same price and way more convenient than DVD. Would like to see YAYOG volume 2 available soon. All of his programs, quite frankly. Needs to have scrubbing 15-30 seconds to skip introductions, or even a built in bookmark to skip to start to workout. Also needs to save your spot in the video if you exit the app briefly...frustrating to have to find your spot again. Otherwise GREAT. Solid app. Would like a little more instruction on the stretches— not sure what some of the instructions mean. Some of the controls during the workout work consistently, but are annoying in that you can stop a workout or skip to the end of a part and then the app doesn’t count your reps. It encourages you to do the workout without interruption, but is annoying when you have a family and need to stop from time to time. Love it but theres always room for growth! I love this app. Its the one thing I return to time and again because it meets me where I am but allows me to grow. I don’t get bored because the workouts vary so much. Im on my 4th round or so of the beginner program mainly because I had some issues in my upper body that made me have to work extremely slowly to work up to being able to do push-ups. I started at the wall and now Im at knee-height!!! For me its a big deal but I want to work all the way up to the elite level. One improvement I would make to the app is that I wish it didn’t erase the input if you have to start the program over . Id like to be able to look back and see what i was doing the first time i did the beginner program. And I wish I could edit a set in advance and save it to that workout with the option to revert to the original set if needed. If you edit the sets you have to do them right then and for the push-up modifications I wanted to go through and edit them all at once to set my workouts for that particular exercise back several levels. I really like the way this app provides a structured workout and you will get strong if you do the YAYOG program. But I am giving it 3 stars broken down as follows: 4 stars for providing users with an excellent structured workout and strength program and 1 star for lack of proper cues to provide safe instruction on the exercises and for exercises that may injure you, such as: Russian Twists, V-sits, and windmills in the YAYOG warmup, which cause unhealthy strain on the spine; and seated dips, which comprise the shoulder joint. If you look on the internet and on youtube, you will see trainers and physical therapists question the long term safety of these exercises. See the Spinal Research Foundation article “Breaking Down the Exercises that Break Down Your Spine.” This is good app to provide you structure for your workouts, but you should educate yourself on the exercises. Fortunately, the app has a large library of exercises and you can substitute different exercises that are more conducive to proper bio-mechanical movement. Mark knows his stuff. Great app! I really wanted an app that I could track a specific workout I create, Bodyweight does that and more. If you want an exercise regime for you it has those, track a singal activity, done. There is no excuse not to get. Some exercise in, when you are your own gym. Everything you need to get a good workout in is around you. The app helps you discover how easily you can get in shape. I started on this about 18 months ago after being recommended for my son. At 62 years old, I was experiencing a number of pain issues rooted in lack of flexibility and core strength. Within 90days of YAYOG, I experienced not just a reduction, but elimination of sciatica and lower back pain. The FUNCTIONAL strength this program produces is amazing. I generally do 2 workouts per week, and one 1-2 hour mountain bike ride on weekend. I feel great, flexibility is much, much greater, and best of all, NO MORE PAIN. Highly recommended. I used the book for a couple of years - then app came out - $0.99 for great exercise programs with clear written and video guidance - what more can you ask for? Great for travelers like me. Have had continued success using the app for years now. I do the exercises at home, in a gym, even on the road in a hotel or airbnb - that’s part of the fun, being creative. Set a 10-week objective, get after it, reap the rewards. I’ve been doing YAYOG for quite a few years now and it never gets old. I get compliments all the time! Not only that but I’m in the best shape of my life. It’s fully customizable, it can be made easier or harder. I mean there’s literally 50 weeks of training from beginner up to expert. And It’s perfectly okay to stay at a level where you’re comfortable. For the price, you can’t beat that! With a good diet and great exercise program you’ll be in great shape in no time. Almost finished with level 2 and loving it. No need to buy any extra videos, at least initially, as the pack that comes with it is great. The difficulty increases steadily but gradually, allowing for the body to grow with the challenge. Other workouts try to hammer your body for "quick and instant results". I much prefer this method. I highly recommend it. The app has its idiosyncrasies, but the more you use it, the better you learn to interpret it. Edit: I lowered my rating by a star. I think the built in workouts are too dependent on accessories. For example, I live in an old house with thick walls. The frame is too fragile to put up a pull-up bar and the walls too thick for the bar which uses physics to keep it up. This is frustrating. I really want to continue with this but a significant part of the exercise I simply can not do. It would be great if the app suggested comparable alternatives when you edit the workouts, or of you could replace a workout throughout a program, so you didn’t have to adjust every time. Update: I repeat, this exercise program needs a setting where you can turn off the need for equipment or walls. Several years ago, I bought Mark Lauren’s You Are Your Own Gym book, and it helped me to get into the best shape of my life. Then life got entirely too busy and, well you know the story. Now that I’m ready to get back into shape again, I’ve found that the basic workouts in that book are a bit out of reach unless I want to be REALLY sore. I found this app and have been very impressed. Not only are there multiple programs available for your specific level of fitness (Basic through Elite), but there are also smaller workouts at those same levels and you can adjust the time from 2 to 40 minutes, making your own little program. I’ve found this very useful and also really like that it stores my history and exports to the Apple Health App. If you really want to get into shape, get this now. The warmups, workouts, and cool downs are all well designed and the app works great. Best warmup and cool down exercises. Bought this app a few years ago. The basic workout was too intense for me. But I have not found better warmup or cooldown exercises. I use them for biking, running and swimming warmups as well as body weight resistance. Great app. Excellent functional workout. Although a bit redundant, the workouts are functional and work anywhere you have space. I have been using this app, specifically the EFX program, for approximately 4 years now. I am a big fan of body weight exercises as I believe they train the nervous system in coordinated activation of muscle groups. The EFX program seems to balance activation of both the anterior chain as well as the posterior chain of muscle groups with some creative exercises, especially for the posterior chain group. The body weight exercises are done in sets and supersets that combine cardiovascular as well as strength training for a well rounded training routine. Mark Lauren tries to teach proper movement mechanics with brief instructions. Keeping proper posture is absolutely key to obtaining maximum benefit from body weight exercises. A working understanding of Alexander Technique can be helpful in understanding some of the brief body mechanics instructions that he gives. Implementation of proper posture can improve activation of abdominal musculature during plank and squat movements; however, this is not obvious from the program as it is. This is one area that could stand some improvement/tweaking. I would love to see more progressions of the exercises in the future. Overall, I love this program and highly recommend it. I have Mark’s books and could not think of a better supplement to them than this app! Well done, sir. And thank you for your service! I have been using it since it first came out, and was using the book program before that! Love it!! Solid app but please smash BUG! Great up but there is a recent bug that stops the warmup and cool down from activating properly; alternately, it immediately goes to the work out. Thanks YAYOG team solid app. Super easy to follow along with, and the audio cues when to start and stop really make it feel like you are working out with the advantage of a personal trainer. Highly recommended! Love this app! So easy to use. Just start workout and the voice prompts guide you through. I have have used the program to break up the monotony of other gym based workouts as well as during the summer when I don’t have consistent access to equipment. Lots of options to challenge you and creative uses of what you have at home. I achieved good results following the advice and exercise programs in the Be Your Own Gym book, and decided to follow up and streamline my routine with the tools in the official app. I have enjoyed the convenience, and features like full-video instructions and the Quick Workouts tool, which tailors a fresh workout to your desired intensity level, timeframe, etc. However, at times, the app feels like a bit of a rushed job. In addition to some basic typos here and there, the app might ask the user to perform a totally symmetrical exercise on both the left and right sides. Or set a default target of 12 reps, both sides, holding a contraction for two seconds for each rep...in a 30-second set. Supplementing what I know from the book and some common sense, this is a fully functional resource that I still use every other day. But for a paid app, a little QA could go a long way. Four years on YAYOG and progress continues. This is a life long engagement for me. I’m 48 and I’ve gone from obesity to 17% body fat: flexible, with practical, coordinated, full body strength. My body is now the foundation of engagement with all that is meaningful in my life: family, adventure, and learning. I credit YAYOG for being the simple and repeatable process that has allowed me to build and maintain this foundation. Great way to exercise anywhere and without equipment. Awesome but please fix two more bugs. I started using this app over a year ago and wasn’t able to stick with it until now. So far I love it 4 weeks in. I’m a new mom and this workout format is easy to fit in around baby. I do 30 sec of work and with Almost 2 min breaks in between sets I can hold or play with baby easily. Love the no frills audio instructions and visuals are perfect. It’s like a personal trainer in my phone. 2 annoying issues have popped up since I have bought the app: 1. If I need to restart a set it doesn’t start the timer over it continues the time but changes the set number to something crazy like 1/512,467 ! ?Then once that set is over it tracks back to the next real set. So no set restarts work here yet. 2. This used to work but now it doesn’t: the warm up and cool downs are automatically skipped and I’ve lost control of that feature in my guided program workout. It started doing this after I finished week 2 and I’m almost done week 4 of beginner level. I realize I can manually do the warmup and cool down but it was built into each workout of the guided program before and now suddenly the app skips to the main workout over the warmup and then skips to the workout complete screen over the cool down but it briefly touches both warmup and cool down screens. Weird. I was doing them before since it was so integrated but now I find myself getting lazy because I’ve found the time saved is kinda nice but not as healthy for me in the long run... Overall great app. Please fix these two bugs and I’ll change my review to 5 stars. As stated. Also iPad version in landscape does not show muscle groups worked. I read the book then downloaded the app. Easy to do anywhere and effective. I don’t know if this has anything to do with the update, but it ALWAYS acts as if I’ve hit the “skip warmup/cool down” button WHEN I HAVEN’T. PLEASE FIX THIS BUG!!! Great tool for your fitness goals: versatile and easy to use especially if you travel and have limited space! Can’t Put a Price on One’s Health! Let me just start off by saying that this is the best $4.99 I have ever spent! Ever! I also spent like $12.99 and $10.99 for Mark Lauren’s ‘You Are Your Own Gym’ (YAYOG) and ‘Body Fuel’ eBooks, respectively. And about $21 for his EFX (Elite Functional Exercise) videos, and about $60 for his Bodyweight Trainer (a TRX-like system that is cheaper, portable, and far superior to an actual TRX). Oh, and my wife spent $20 on a great Mark Lauren t-shirt for me for Father’s Day. Why do I mention all of this? Because Mark Lauren has proven to me that he is the real deal and cares about people’s fitness over profits. He was an elite physical fitness trainer for the US Air Force’s Special Operations Unit. He’s also a Muay Thai fighter. And your fitness journey all starts with this app. If there is only one app you could use to help with your fitness program, this would be it! The fitness-level Classes (Basic, First, Master, and Chief) and perfectly balanced and tuned for all students. But can also be customized when need be. The workouts are quick, efficient, and intense! Nothing beats them. I have used this app for years now and it is my go-to fitness program that my battle rope, kickboxing, and yoga workouts compliment. This app changed my life! Before YAYOG, I had no clue how to get in shape. Now I am in shape thanks to Mark Lauren and this app! The best shape of my life! The app also allows you to download the EFX videos, which are crazy intense Yoga/Plyometric workouts. I stream them from my iPhone to my Apple TV in my living room and use a yoga mat (where I do other yoga programs as well). The app also tracks your workout history and lets you create favorite customized workouts. Plus, it allows you to access your workout music playlists during the workouts (I workout to 80s and 90s rock like Journey, G&R, and Bon Jovi). If you’re a total out-of-shape beginner or a season gym rat, this app has it all for you! Love it, love it, love it! Now I’ve gotta go workout! Hahaha! I started using Marks program. My husband was so impressed with the results that he started also. It is the most efficient way I have ever found to get and stay fit. The app is easy to use. I recommend reading the book also. Almost finished with level 2 and loving it. No need to buy any extra videos, at least initially, as the pack that comes with it is great. The difficulty increases steadily but gradually, allowing for the body to grow with the challenge. Other workouts try to hammer your body for "quick and instant results". I much prefer this method. I highly recommend it. The app has its idiosyncrasies, but the more you use it, the better you learn to interpret it. Edit: I lowered my rating by a star. I think the built in workouts are too dependent on accessories. For example, I live in an old house with thick walls. The frame is too fragile to put up a pull-up bar and the walls too thick for the bar which uses physics to keep it up. This is frustrating. I really want to continue with this but a significant part of the exercise I simply can not do. It would be great if the app suggested comparable alternatives when you edit the workouts, or of you could replace a workout throughout a program, so you didn’t have to adjust every time. I have been using this program for almost a year now. I am amazed by its simplicity and effectiveness. P90X converted me to working out at home. Now YAYOG has taken me to a whole new level of consistency. I feel great. The App is very easy to use and very flexible to build your own workout. Important to note, this is the only review I have given for an App! I owe it to tell Mark Lauren, "thank you for making my life better!" Amazing app. No workout app is better. I have never enjoyed working out this much. So easy and thorough. With this and the book you control your body... No more fads or $$$ for trainers. You are your own routine... You are your own trainer... You are the best you. That's what YAYOG offers- the best you. Like the old adage if you give a child a fish he's fed for a day... If you teach him how to fish you've fed him for life. That's the difference between a trainer and YAYOG. Enjoy your fishing. if your a fitness enthusiast or just starting out on you're journey this app is perfect for you. personally i use it everyday for exercises and you really get to know your body in a deeper level. This well executed app is a great companion for the book. Been looking forward to having the specific workouts incorporated into the already useful timers for the different workout types. Easy to understand and use. Thanks! It is a very large file, but I like having the video demonstrations incorporated. After having a stroke, I started using this app as therapy and it helped bring me right along. It gave me inspiration to keep working out and keep moving. Thanks for making this app. The interface is very well designed and I found the programs themselves are particularly good. The guided programs are very easy to follow with built in timing cues and rep counting for the different protocols used. If you want to skip to the next set early or pause or repeat a set at any point you can, without throwing off the structure of the workout. The progressions for the guided programs are sensible and yet provide challenge at each stage. The periodization in the programs makes for interesting shifts of emphasis from week to week that keep the workouts fresh. There are very specific guidelines for the different program levels, which is very helpful. There is also a way to construct your own workouts from the built in exercises if you want to vary things from the guided programs. Progressions start very easy and eventually become extremely challenging so this will be useful for a very wide range of people. Finally the programs in my opinion do a great job mixing different kinds of fitness into a single all around developmental sequence, there is endurance of different kinds as well as strength of different kinds challenged here. 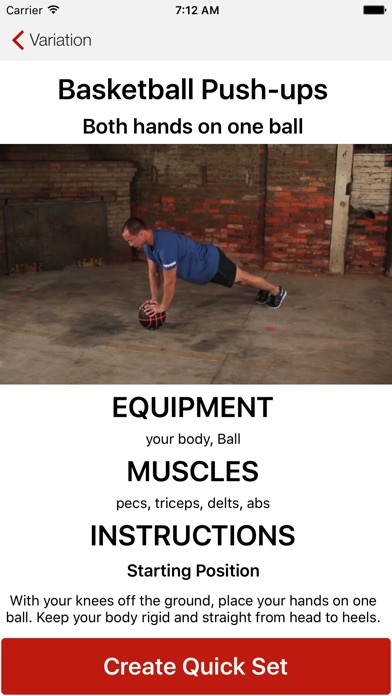 This is very far from a simplistic “let’s try even more pushups today” sort of programming, and the app does most of the thinking and workout planning for you. A couple things I found it weak on: (1) the history capture is not really a workout log at all, it is just a record of which exercises you did, so I find that I have to also keep a manual log separately to track things. (2) I found the implementation of “ladders” (timed pyramids) very confusing and difficult to adapt for different reps than the built in default ones. 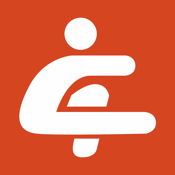 Overall excellent bodyweight programs and very useful guidance by the app. Read the book a year or so ago. Then I used The program for a while. It wasn’t very convenient because it was hard to keep track of time rest periods and so on. With the app all that is taken care of for you. It also journals all of your workouts. Works as promised. Exercise programs can be modified for your preferences. If you don’t enjoy going to the gym and all the time and effort it takes, this app is for you. Simply put, a great workout program. Noticed a definite improvement in my strength and flexibility. Lost about 9lbs. Of fat, now very lean. Colleagues have commented how my physique has changed. Mark is right, consistency is key. This app is outstanding, I’ve been using it for over a year and have slimmed down and toned up! The only thing I’d want to add is someone or somewhere to ask specific questions about the program (I.e. during timed sessions should I be aiming for twelve or going to my max every time etc) other than that it’s a great app! Latest update made IPhone 6S+ fonts and controls too small, bottom half of pages unused, descriptions no longer centered, pictures too small, lots of dead whitespace on some screens. Harder to read and use. Fix or revert please! Beyond that, I’ve used this app for two years and I’m in the best shape of my life! Speedo ready! Thanks Mark!!! This the most useful and cheap app you will ever get, no more gym or waste time, I’ve been using this app since 2012 and its doing a great job. But I have one more idea if you can implement it in the next update it would be wonderful Can you add the approximate calories burnt during the exercise, you can calculate it per exercise and a range of reps For example: classic push ups 5-10 reps I have burnt 20-45 calories And in the end the program will calculate the total and show it to you, also it can be added to health app In this way I will able to calculate how much I am eating the burning. Thank you. I live this app so much. I want to give it a 5 star rating, except that I can share the workout I just did. It say to set it up under decide settings, but on the new os there is no place to set up Facebook like in previous os. If you could get that share feature updated I will gladly rate a 20 star if I could. Keep it up. Awesome since this has options where you can just get toned with the beginner levels, or you can also spend time and master more difficult workouts. I am busy with college but can still fit this in! Easy to keep up with the program. I have been working out with weights for years and years but I never saw much change in my body shape. This program really kicks. After the first day I noticed that I had really worked muscles that had not been worked much before. After my first ten weeks I moved to the second level of difficulty. I have actually gained weight, but it's all muscle. My shirts were all too tight and my pants are loose around the waist. Read the book, but use the app. Thanks Mark. Several years ago, I bought Mark Lauren’s You Are Your Own Gym book, and it helped me to get into the best shape of my life. Then life got entirely too busy and, well you know the story. Now that I’m ready to get back into shape again, I’ve found that the basic workouts in that book are a bit out of reach unless I want to be REALLY sore. I found this app and have been very impressed. Not only are there multiple programs available for your specific level of fitness (Basic through Elite), but there are also smaller workouts at those same levels and you can adjust the time from 2 to 40 minutes, making your own little program. I’ve found this very useful and also really like that it stores my history and exports to the Apple Health App. If you really want to get into shape, get this now. The warmups, workouts, and cool downs are all well designed and the app works great. Update: I recently changed phones and the app will no longer allow me to log in. I’ve contacted the developer and have been ignored. While the app seemed great for a while, it really isn’t now. Go with Nike Training Club instead. It’s free and works. I purchased this app last night. Connected to WiFi this morning and it will not download. After waiting for it to download a long time, I get a message from the App Store that the app cannot be downloaded. What a rip off! I’m a Bodyweight/functional fitness exercise type, and YAYOG has been a go-to for many years for me. This app is great whether you are familiar with YAYOG or not. It allows you to go through structured exercise programs, customize your own program based on exercises and/or time, modify based of fitness level, and it has warm-up and cool-down videos. The exercises are explained well, there are timers with sound, and your progress is saved in the app. Quality app with great exercises and a great price. My last review 5 years back was update to iPhone 5, now I will like the same for the X. Best ways I found out to workout remotely.. good app. The body weight is a well organized and balanced presentation of developing muscle strength in three crucial areas: upper body, core and legs. Weekly schedules include timed and scored training in each of these areas, on alternate days, and later, after some preparation, timed workouts that 3 elements of the completed training in repeated succession. Straight forward. No special equipment needed. Well presented and demonstrated throughout. Basic, intermediate, master, elite levels, each with increasingly more difficult 10 week courses. Additional improvement through repeats of each level. The program builds muscle, causing weight loss. Simple, not easy. A knowledgeable and purposeful program for all levels of bodyweight improvement. Use it, lose it. I’m only a few days in but loving the results. I am trying to get stronger. As a stay at home mom I needed something simple, quick but effective. That’s what this app is! I’ve been sore this week but have missed that feeling! I quit working out with weights 10 years ago due to injuring my shoulder by overtraining. I've just finished the novice 10 week without aggravating my injury and lost 25 pounds in the process. Even though I'm just getting started in many ways I feel stronger in an overall sense than I was after years of weights. Great program, great app and I love how the app counts and times everything so I can focus on form. (Yes, I find it difficult to stand erect and count to four at the same time). Thanks YAYOG for the perfect workout. Oh, and did I mention that I'm past 50, so yes this even works for old guys! Don’t want to do the same thing at the gym every day? Want challenging workouts you can do anywhere? This app is the answer. I’ve got a professional career, a wife, three small boys, and a military reserve commitment. I have to stay fit, but have a tight schedule and a lot of unpredictability. With this app, I can do challenging workouts (almost) every day that I don’t have to plan or be at the gym at any particular time. Just put your workout clothes on, choose a workout, and go!